Avani Patel is the founder of Trendseeder and Director of Harvard Business School’s Startup Studio in New York City. Trendseeder is a program that offers consumer focused start-ups the tools they need to grow by offering access to expertise and growth opportunities. With over 200 mentors in their network, Trendseeder is most excited about working with start-ups that have a great team, a defensible business, and one they can truly help grow. Like most entrepreneurs, Avani has always had the entrepreneurial bug, and Trendseeder was born out of a combination of this natural desire to create and her non-traditional career path. While still in law school at Northwestern, Avani and her sister started a contemporary fashion line, Nasaani, because they were tired of the offerings available to them. Along with founding Nasaani, Avani had a successful career in corporate law. Starting her own fashion line and working in law helped Avani realize what it takes to start a business and that she could’ve really used a program like Trendseeder to scale her fashion line, and this is ultimately what led to the creation of the program. 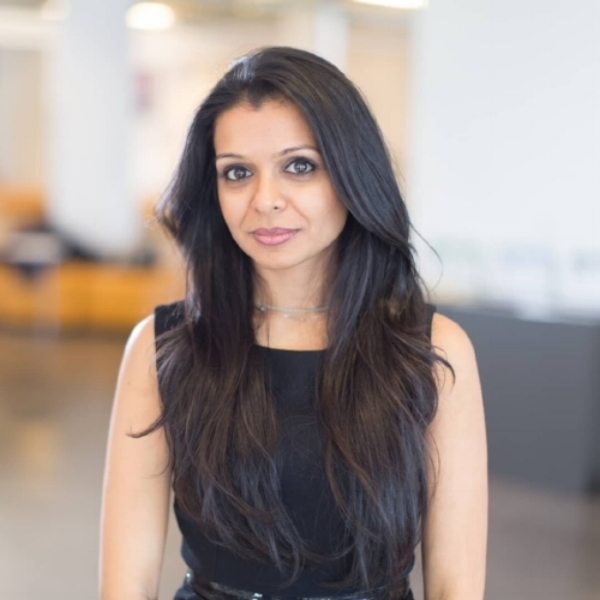 Trendseeder has been a huge success, and Harvard Business School - recognizing her deep understanding of the start-up world - gave her the opportunity to launch and head their start-up studio which supports HBS alumni founders in NYC. When asked what advice she would give to women, she emphasized that there isn’t one specific path to success, and that it’s important to do things you love and can learn from. Most importantly, be open to new opportunities, because if you plan too carefully, you might just miss out on the best experiences of all.